Starting the tour of the city from the old town , you can start from Piazza Fontana and linger in the San Domenico Maggiore church (or Imperial St. Peter ) , built by Frederick II in 1223 , modified and renovated several times. Very important are the magnificent Gothic portal and the rose window in the Romanesque style, blended harmoniously with the double baroque staircase. The interior has a Latin cross; the wooden ceiling was restored; Also the high altar is Baroque. 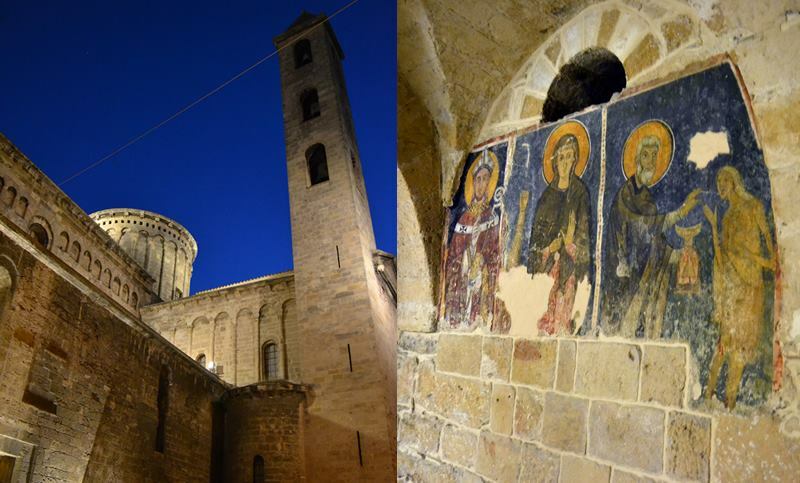 About a few hundred meters, we come to the Cathedral, dedicated to the Patron St. Cataldo and it was founded in 1071-1072. The façade is Baroque, the dome is Byzantine, the bell tower was rebuilt on the original dating back to 1413. Inside you can admire the baptismal font realized in 1500; the church has three naves, divided by sixteen marble columns on which are carved the Roman or Byzantine capitals. Stands out the wonderful and superb coffered wooden ceiling (XVII century.). The Saint’s Chapel, in the Baroque style, is full of statues and marble inlays of the 1500s, 1700s and 1800s. On the altar the bones of St. Cataldo (He has Irish origins), whose statue is all silver, with Byzantine frescoes. Built in 1728, the Galeota Palace is in Via Duomo and is named after the family that bought the building in the nineteenth century. Its construction was ordered by Don Vincenzo Cosa, canon of the Cathedral of Taranto, which strongly aspired to include her family in the city nobility. In the second half of the eighteenth century, the Palace was bought by Calò family and later by the Galeotas. The building underwent a restoration only, between 1975 and 1983, and it has a certain importance because, as the Farella said, “is one of the most representative of that remarkable building production of artistic kind that affected the city throughout the ‘700 and who qualified in a decisive and lasting manner the Taranto urban face “. 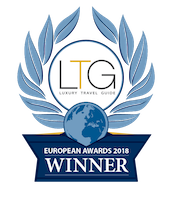 In other words, it testifies to the Neapolitan influence in Apulia of the eighteenth century and, as far as Taranto, also the approach to the Baroque of Lecce. Currently, the building houses the headquarters of the Office of Culture and the City – on the first floor – the rooms of the Ethnographic Museum “Alfredo Majorano”. The Archbishop’s Palace is located on homonym small square, near the Duomo. It is not known when it began the construction work, nor the name of the architect. It is accepted that the building is contemporary with the discovery of the body of St. Cataldo, which occurred in 1071, when the Cathedral was enlarged by the Norman Archbishop Drogo. Over the centuries, the Palace has been variously altered and modified. The facade was restored in 1577; in the early seventeenth century it was built the second floor; in 1638 it was changed the shape of the building and were added to the premises of the Curia and a gallery; in 1786 it was built the upper apartment on the sea front; in 1858 the building was renovated and equipped with a small chapel dedicated to the Virgin. In 1868 a part of the building housed the Assize Court that, among other processes, celebrated the resounding feats of brigands of Grottaglie. From 1898 to 1918, the palace was the seat of the meteorological observatory. Distinguished guests of the Palace were Ferdinand II of Bourbon, and after the unification of Italy, some members of the House of Savoy. As the residence is a beautiful building, with spacious lounges. In one of these they are collected the arms of the bishops succeeded the chair of Taranto and many paintings and ornaments of great value, some coming from donations. The Archbishopric has an important library and a remarkable series of paintings from the Duomo and the church of St. Gaetano. Among the paintings, stand out some works by Corrado Giaquinto, Leonardo Antonio Olivieri and Finoglia. The seventeenth-Carducci Artenisio Coliseum in Vico Seminario. It was built by the noble Filippo Carducci, the Florentine origins, who was Governor and Captain of the city, under the rule of Charles VII. By the time, the building has undergone renovations and restorations: in particular, the facade is in Art Nouveau style. The entrance hall has a beautiful coffered ceiling and beams decorated with floral motifs. The interior is a succession of elegant living and dining rooms, adorned with oriental rugs, antique furniture and fine porcelain. On the first floor, the splendid meeting hall is decorated with twelve painted medallions from Fracanzano, representing the Saints particularly venerated by the Carducci family. The nineteenth-century chapel contains a precious relic of the Cross of Christ. Another jewel is one of the bedrooms, equipped with alcove decorated with various paintings of excellent workmanship. Full of more than six thousand volumes is the library. Located in the heart of the historical center, on the central Via Duomo, Fornaro Palace is a historic noble residence of the eighteenth century. Its façadewith linear elements contrast slightly with the arms of the most magnificent noble family Fornaro. The second floor boasts eighteenth-century stylistic elements with finely molded architraves, the decorated wooden ceilings. And now the seat of the medieval museum “Maria d’Enghien”, an important container for the knowledge of the history of the Principality of Taranto (XI-XV sec.). On various levels, it is home to, among other things, a faithful reproduction of some craft workshops. The church and convent of St. Francis are the combination of greater size and importance of the entire old town. 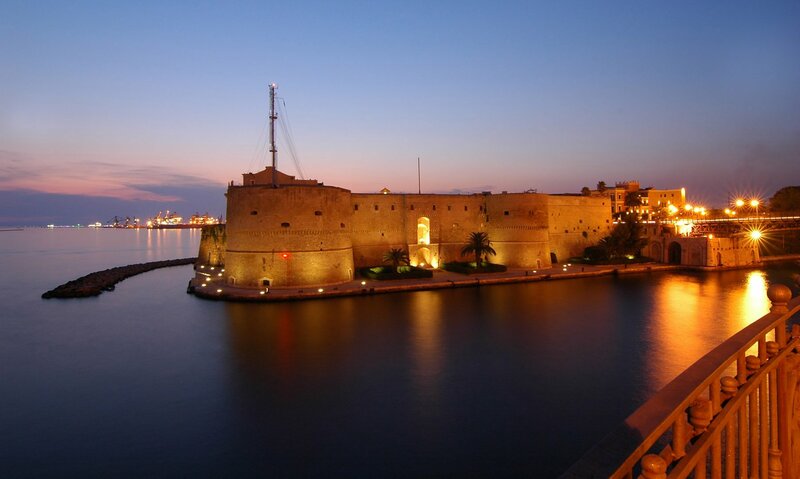 It usually locates the time of its construction with the passage of St. Francis in Taranto. This event, of which there is no news, is representative of the importance given to the Franciscans in the city, who chose these places to establish their first community. Constructed most likely in the fourteenth century, it was originally made up of the convent, a small church. The monastery was renovated in the mid-seventeenth century, it was used over the centuries in different uses: the Town Hall during the eighteenth century, it later became the seat of the Napoleonic troops, under the name of Rossarol Barracks, now the University of Taranto. To see are the native houses of Taranto characters who have become famous for various vocations: Giovanni Paisiello, Tommaso Niccolò D’ Aquino, Mario Costa, F.Paolo Parise, Nicola Mignogna and St. Egidio. After having walked the streets of the ancient town, you reach Piazza Municipio to admire the Castle, built in 1481 by Ferdinand of Aragon, and overlooking the Waterway along about 400 m and width 73 m, which is the main communication between the Mar Grande and Mar Piccolo. On channel “the Ponte Girevole” that connects the Old Town and the New Town. Entitled to St. Francis from Paola the bridge, rebuilt in 1887, rises to 12 m above the sea and is about 86 m long, 10 m wide is opened to allow the Channel crossing to warships and merchant ships. 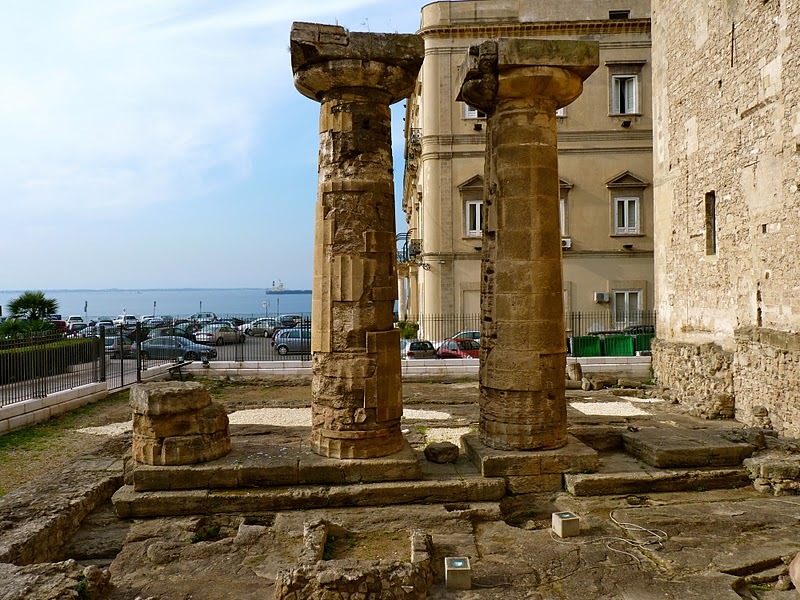 In Piazza Castello there are the “Doric Columns” of the temple of Poseidon, the only evidence offered to visitors of the great ancient monuments owned by the city. 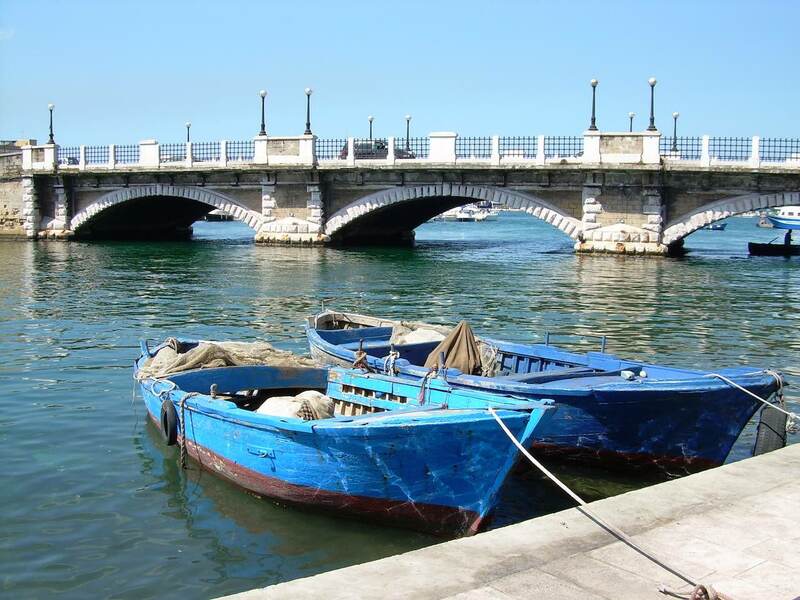 Before leaving the Old City a quick look at “Marina“, where they will remain the fishing boats and where you can find typical restaurants where you can enjoy traditional tarentina cuisine based on fish and seafood. Passed the “Bridge” is the new part of town with streets Via D’Aquino and Di Palma that make up the heart, which is overlooked by elegant shops. 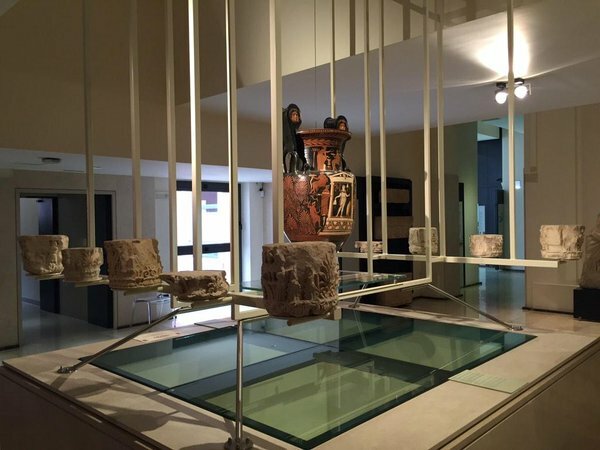 In Corso Umberto there is the National archeologic museum, one of the most important in Europe, where they are preserved vessels and artifacts that recall the splendor of the city during the time of Ancient Greece. Noteworthy are some rooms full of jars, pottery and masks of exceptional beauty and uniqueness. Significant is the Sala degli Ori, where you can admire tiaras in gold foil, necklaces, rings, bracelets, earrings. 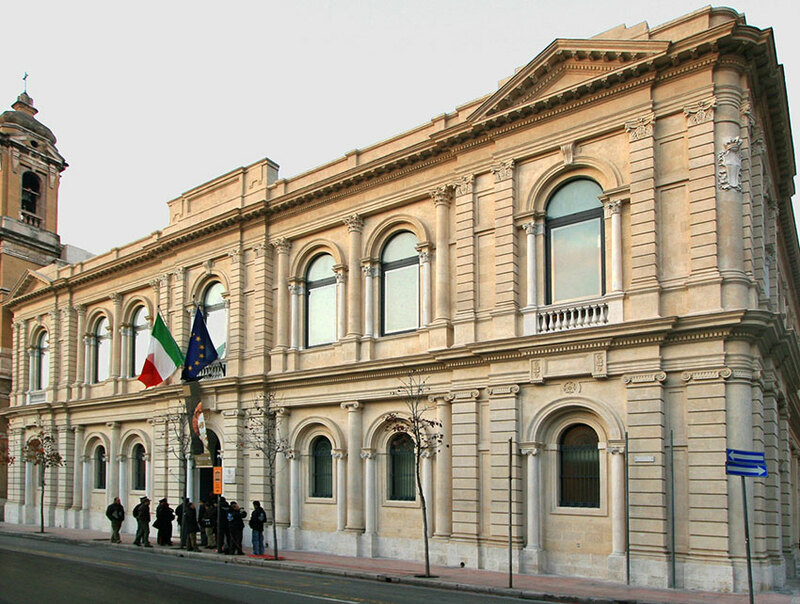 Near the Museum, in Via Roma, there is the Oceanographic institute founded in 1914 and equipped with modern facilities for aquariums and oceanographic and biological research. A short distance of the museum, are the the Peripato gardens, from where you can admire the Mar Piccolo (divided into 2 bays) at the mooring there are military ships. The Lungomare is an attraction of particular interest. 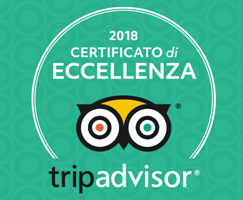 It is without doubt among the highest in Italy and it can range all over the Mar Grande, to admire the two small islands that face the city, the St. Peter’s Island and the St. Paul’s Island, also known as Cheradi Islands.